The Royal Society of Arts says its Design & Rehabilitation initiative, which saw people with spinal injuries taught design principles, has allowed some participants to feel more positive and resourceful. The RSA last year ran a series of programmes at Stoke Mandeville hospital, Glasgow’s Southern General Hospital and Sheffield Northern General Hospital. Teams from Bucks New University, Glasgow School of Art and Strathclyde University and Sheffield Hallam went into the hospitals to teach design principles using techniques such as moodboards and role-playing. The RSA says another aim was to develop other routes to social integration beyond sport, which has been emphasised ‘almost to the exclusion of other activities’. The participating hospitals also noted potential advantages such as giving patients the skills to design their own environments and gadgets. 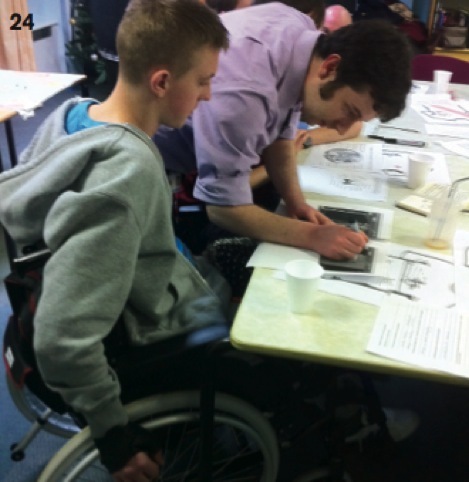 Stoke Mandeville patients said the design sessions had brought out their confidence and ability to adapt, making them aware of ‘more options’, ‘not necessarily accepting what I’ve got’. 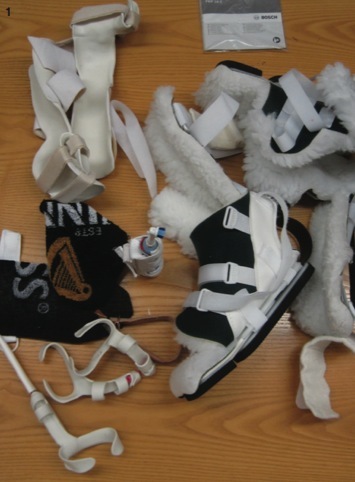 Chris Haynes, who participated in the Stoke Mandeville workshops, said that while his ability to design and make things outside of the hospital was limited, design had helped him to recognise the problem he was trying to solve. 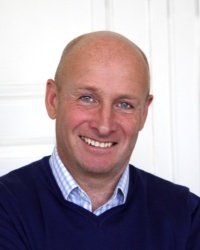 The design and medical teams at Sheffield say they are keen to develop further workshops, possibly focusing on specific problems, while Brian Carlin, chief executive of spinal-cord injury charity Aspire, suggested launching a national design-training project for patients who have been discharged from hospital. 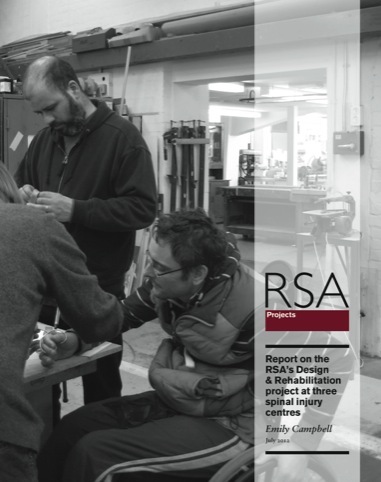 You can read the RSA’s Design & Rehabilitation report in full here.